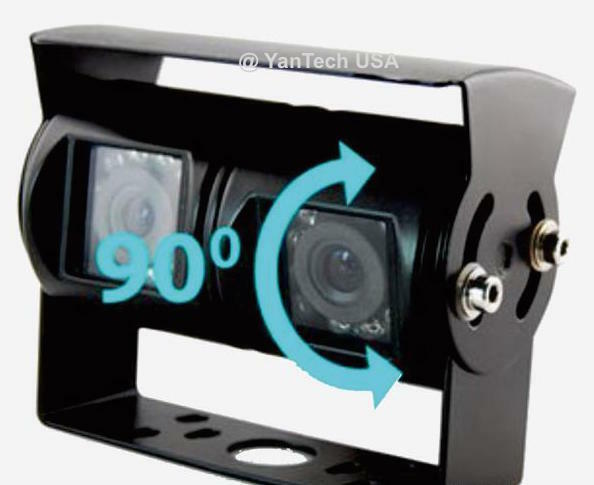 This double lens camera provides the ability to switch between two camera views, ideal for providing a view far down the road (for use while driving) and a view closer to the rear of the vehicle (for use while backing). 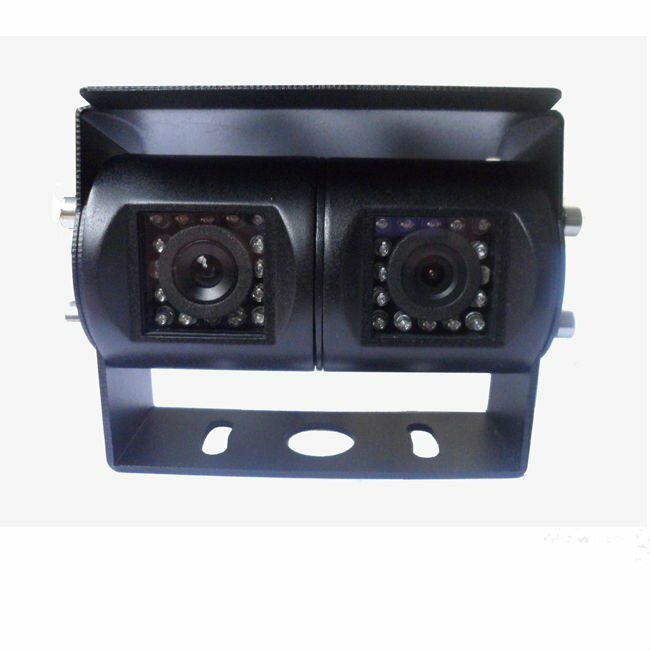 These dual view cameras are perfect for use on heavy vehicles such as trucks, vans, trailers, bus, etc. All the necessary cable hookups (RCA connectors) and Male Power Lead Plug to get your camera up and running. 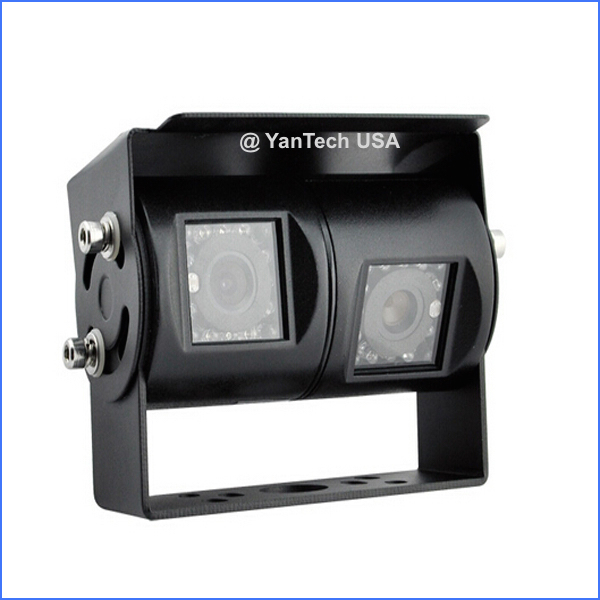 Contact us if you need 4-pin video outputs from the camera, we can provide you the 4-pin to RCA adapters. 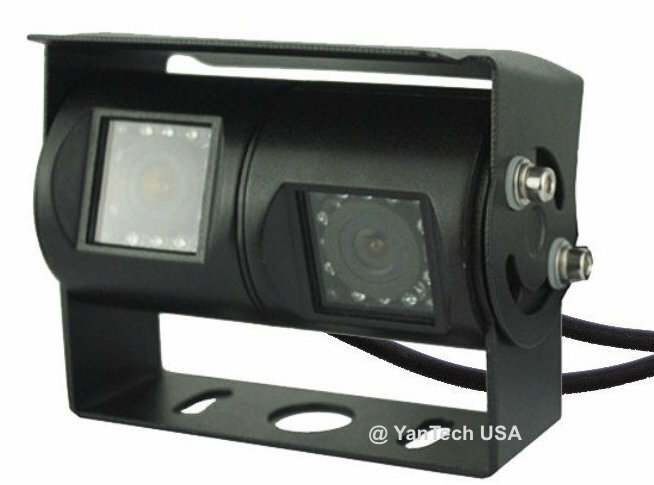 Dual/Twin/Double CCD Color Cameras with 120 degree and 90 degree wide viewing angles - Essential to get a wide picture view especially when backing up a towed vehicle or a vehicle with wide turning radius! The Camera has standard RCA connectors that are compatible with any VCR, DVD player, TV or Monitor.